Myrtus communis compacta, commonly known as dwarf myrtle, is a slow-growing, compact evergreen shrub best suited to sunny landscapes as a low maintenance foundation plant; although plants can tolerate some partial shade. Dwarf myrtle makes a drought tolerant border once established; or plants can be trained into topiary form if done so when first planted. In spring, small white flowers can cover the plants, but it’s the highly fragrant glossy green foliage that makes this plant so useful. Dwarf Myrtle is a versatile plant that can be grown in traditional, contemporary or Mediterranean style landscapes but still blend in beautifully with a variety of other plants. In formal gardens, keep its neat appearance tidy with occasional hand pruning. Plant in well draining soil as it does not tolerate soggy roots and could easily develop root rot. Water dwarf myrtle well during the first year to establish its extensive root system.Once established, provide supplemental water during the hottest part of summer to keep plants looking their best Dwarf Myrtle is prone to scale insects, followed by sooty mold. In warmer climates, thrips and spider mites can be a problem, especially when plants are stressed. 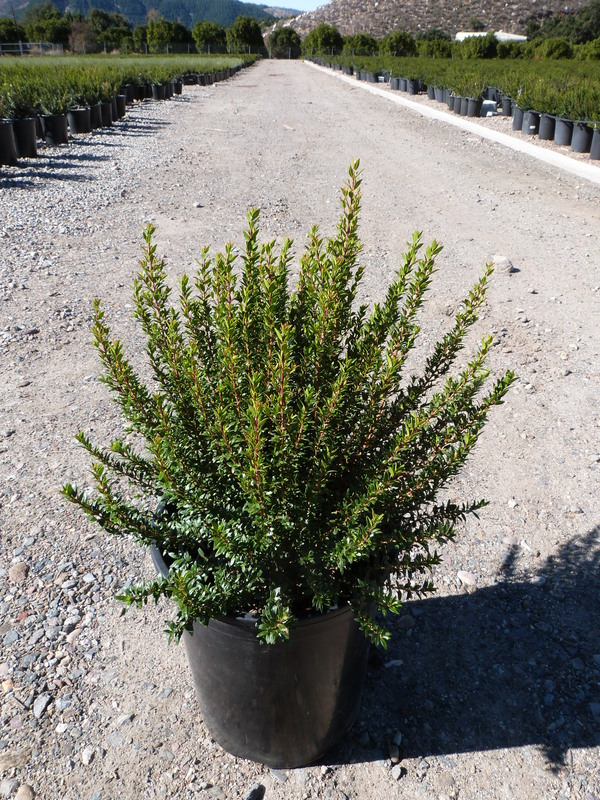 Try dwarf myrtle in containers for a sophisticated evergreen entry or patio plant.